If you eat crisps under a table, they don’t count. More Spectrum Noir doodling! I created a crazy fella! 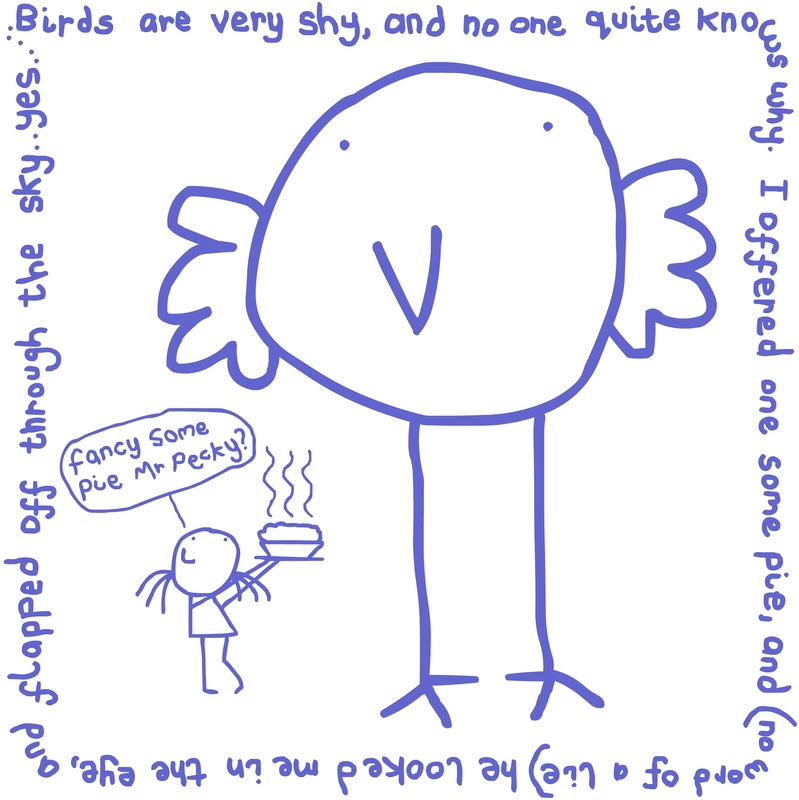 I drew the fella…realised he was crazy…and then decided he must surely be up to something ridiculous. Naturally, I hid granny’s glasses, the remote control and a bonsai tree behind his back. I got some new spectrum noir pens for Christmas and I doodled my way through boxing day. I wanted her hair to be brown. Don’t have a brown. So she’s a blondy. Let’s do an MA in Puppetry and Digital Animation why not?! I’ve started an MA in Puppetry and Digital Animation. Had I known this amazing combination of subjects was available to sink your teeth into in just one course…well I’d have been banging on those University doors along time ago. This week I have been having a think about the kind of puppetry and animation that excites me. Hopefully this will not only give my tutors a sense of who I am and the type of work I’d like to explore further but also aid me in deciding upon THE QUESTION! My BIG MA QUESTION! How fab! I took my kiddies to see it at The Lakeside, Nottingham. What else? Ah ha! This…. It’s so simple, delicate and honest. Beautiful soundtrack too. This really does inspire me. 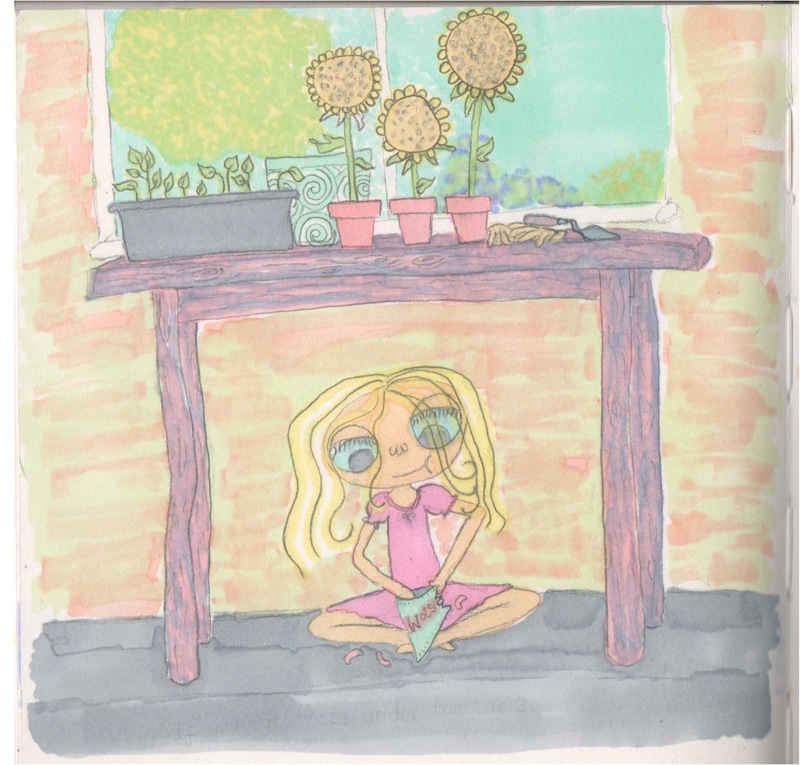 And now this… Charlie and Lola. Again it is so simple and honest. Oh, I’m sensing a thread. The whole animation looks like it’s been cut out of paper and images and put into a big animated scrap book. I also love the script and voices. Oooh oh and this! 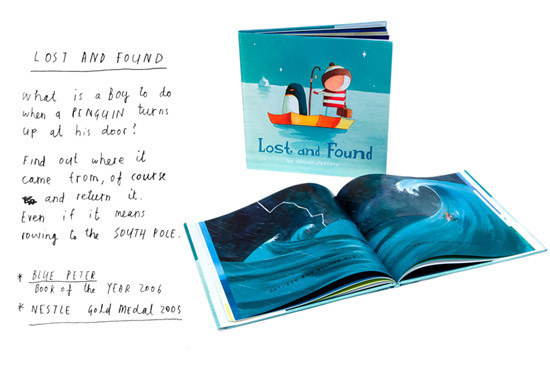 Lost And Found… I love Oliver Jeffers! I think this is animated beautifully. The book is quite different in style but equally as brilliant. I’ll find a pic. One more! I was only supposed to find three examples of what I like but I’m not sure I can stop myself….TOTORO! See, I couldn’t. I love how they have captured the relationship between the 2 girls so truthfully. They understand children. The age gap between the 2 girls is significant and they’ve animated the differences superbly. They even manage to capture the thought processes. Beautiful film. Now I am supposed to give an example of something I don’t like. Not such a fun search. Back in a mo…. I’m back! I’ve found something else I love. Sorry. But look at this TED talk on some amazing puppets from The War Horse puppet designers. Wow! Ok I give up. I’ll find something I don’t like tomorrow.